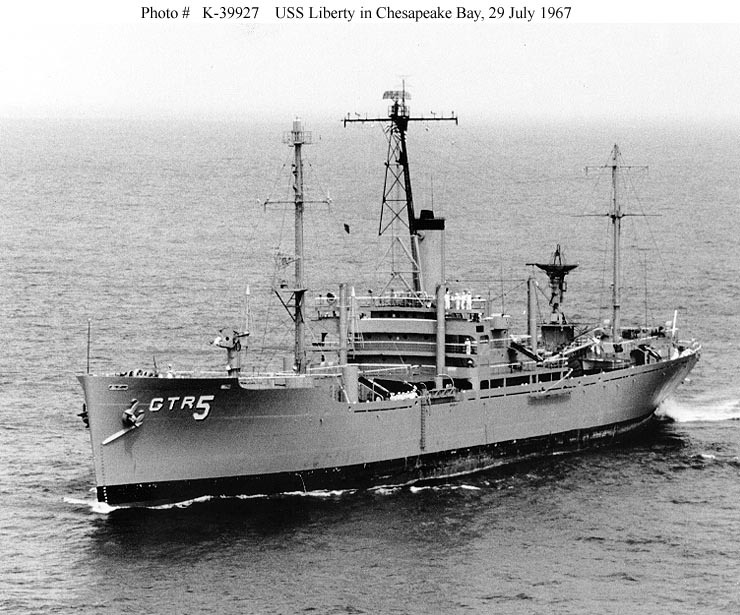 ↑USS Liberty (AGTR-5). Underway in Chesapeake Bay, 29 July 1967, upon her return from the Mediterranean Sea. She had been attacked and seriously damaged by Israeli air and surface forces while operating off the Sinai Peninsula on 8 June 1967, during the "Six-Day War", and was subsequently repaired at Malta. Official U.S. Navy Photograph.